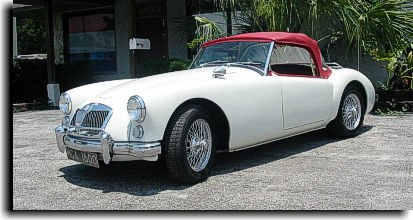 Below is some of the MGB's that Catalina Custom has worked on from previous years. 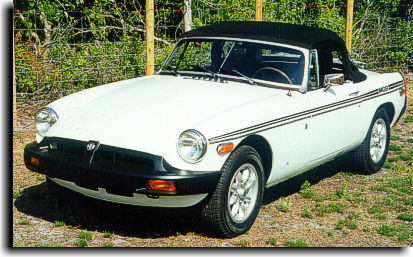 This MGB had a Robbins Top using black Stayfast cloth installed on it. 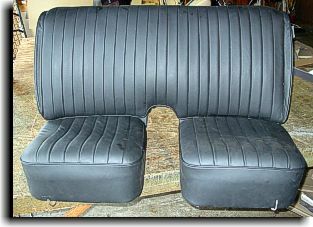 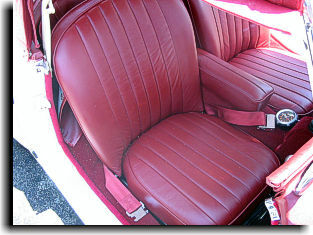 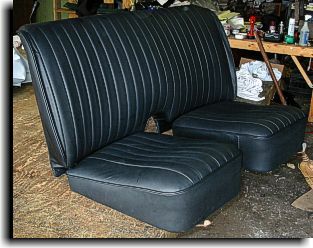 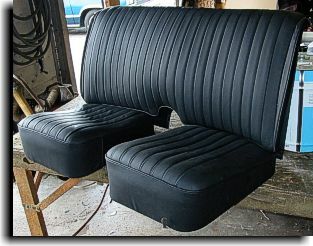 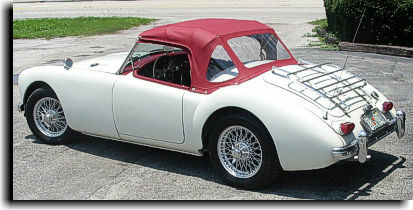 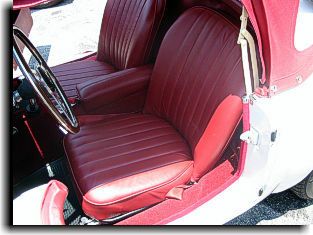 Black leather seat covers were installed on the seats for a MG-TC. 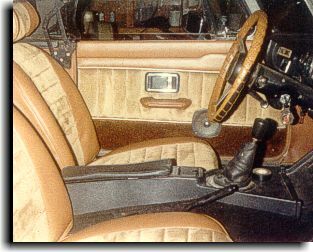 A custom MGB interior was built in the early 80's using a tan velour for the inserts on the seats and door panels with a nice tan vinyl and saddle tan cut-pile carpeting.